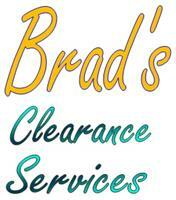 Brad's Clearance Services - Rubbish/Waste/Clearance based in Erith, Kent. Brads Clearance Services Offers a range of clearance jobs from collecting single items to clearing whole Houses, Homes, Flats, Garages, Lofts and all rubbish. Our rubbish clearance service offers a no fuss hand-loaded junk removal service where - WE LOAD THE MUCK TO THE TRUCK. Ideal for those who can't physically load a van or skip, or have better things they could be doing with a time than queuing down for local recycling centre. Our service can accommodate for waste removal from domestic, business and industrial premises. · Loft clearance - we bring along additional lighting with walk boards. Cupboards, beds, Carpet & much, much more. · Recycling waste - paper, bricks, concrete, metal, plastic, wood, green waste. At Brad’s Rubbish Clearance we aim to be as competitive on price as possible.